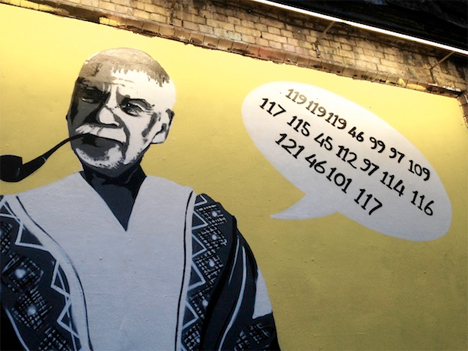 If you’re among the attendees of international technology festival Campus Party, which will take place during the first week of September in London, you have a much better chance of cracking the codes featured in a new series of street art than the average passerby. 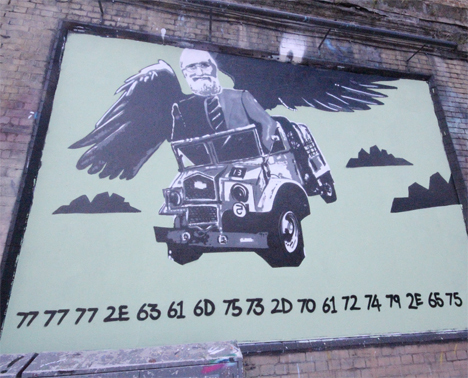 The murals were commissioned by the festival in celebration of the 75th anniversary of the Government Code and Cypher Schools team, which broke the Enigma code. 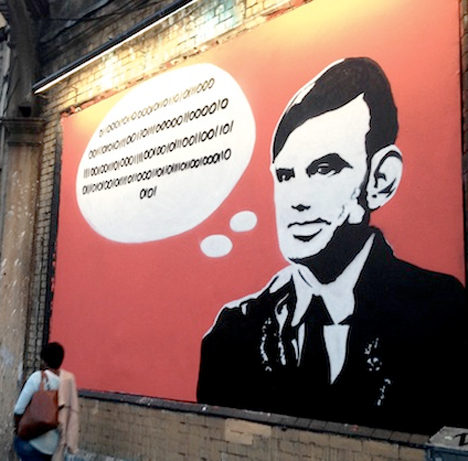 Each freehand painting features the face of a code developer, including Alan Turing, Samuel Morse and Tim Berners-Lee, along with a code. Onlookers are challenged to break the code, and anyone who successfully does so can enter it into a special location on the Campus Party website for a chance to win two tickets to the event. 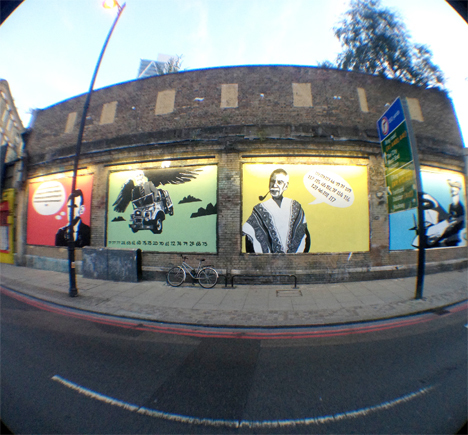 “Mixing raw graffiti with complex binary decimals, these visual contradictions are set to spring up in London, Manchester and Birmingham as we work our way towards the launch of Campus Party at The O2 on September 2nd,” say the organizers.